The larvae fed with only Royal Jelly becames the Queen Bee. 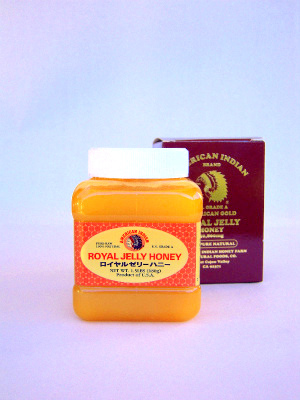 Royal Jelly contains a substance, 10 hydroxy decanoic acid which exhibits antibiotic qualities against bacteria and fungi. It also contains acetylcholine, which plays a varied and important role in the function of the human body, as it encourages adrenaline secretion and acts as a chemical mediator for the transmission of nerve impuleses. Contains a mix of vitamins, minerals, proteins and fatty acids. 1.5lbs.